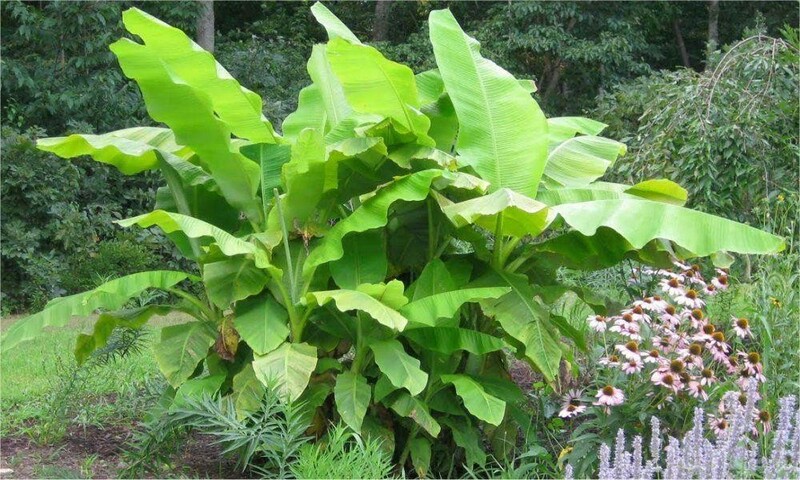 The Musa Basjoo will bring a tropical atmosphere to your garden, and may even produce fruit. The flowers are creamy yellow with large brown bracts and are arranged on a pendant spike. Behind the flowers the small inedible bananas form. It is a perennial although the top will die down in winter, and it will do best if offered some winter protection. Forming a dense bush with thick, fan like leaves spreading gloriously out through the air, it will create wonderful shadows on your patio. Hailing from Japan, it loves sunshine but it is reputedly hardy to -10C, and can take many positions growing in the UK climate! 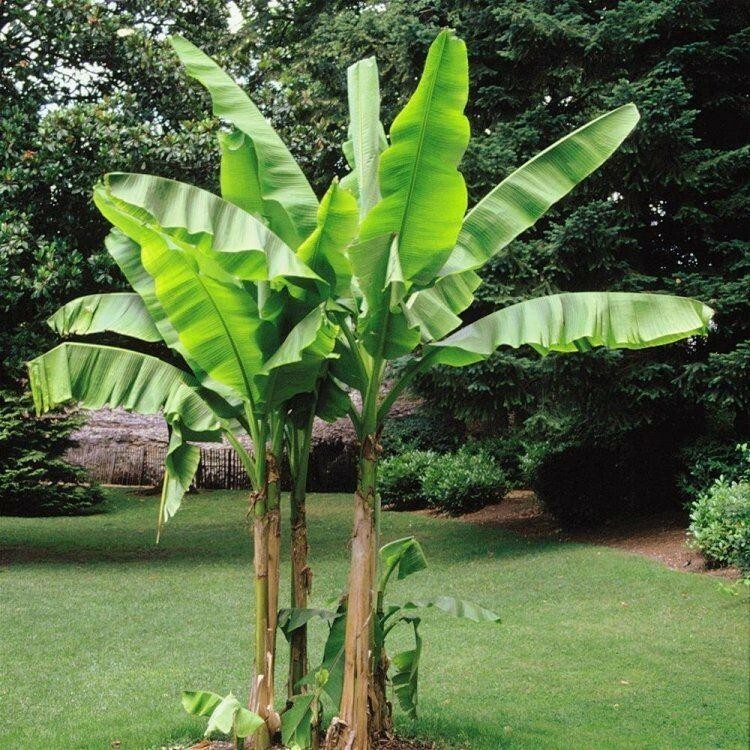 The 'Japanese Hardy Banana' is also brilliant if planted into a large pot and will create a real tropical feel to your garden. Pack of three strong leafy plants supplied at around 30-60cms tall in approx. 1-2 litre containers.